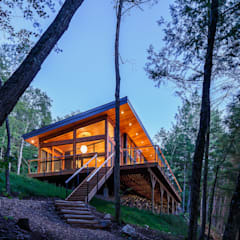 What are the main features of a modern house? 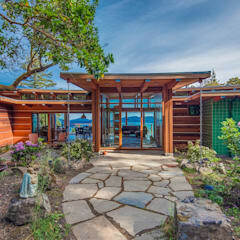 Modern house design, as we know it today, has started in early 20th century. 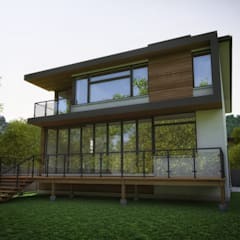 Architects like Ludwig Mies van der Rohe, Le Corbusier, Walter Gropius and Frank Lloyd Wright started experimenting with the design of the residential buildings. 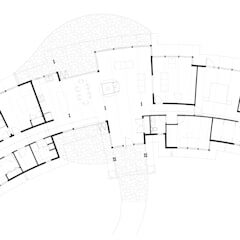 As a result of these experiments, residential structures started undergoing massive transformations. Buildings like Villa Savoye by Le Corbusier, Villa Tugendhat by Ludwig Mies van der Rohe and Bauhaus provided the blueprint for the homes of the future. 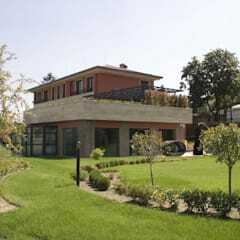 The design of the residential structures became more simplified. Architects started insisting on clean and clear forms. Everyone started embracing minimalist design and understated colour schemes. Architects also started experimenting with new materials and tried to build structures with more affordable materials. The Onyx wall in the Villa Tugendhat is a prime example of that. 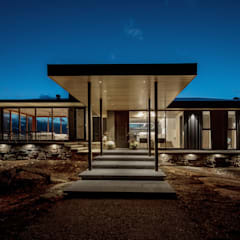 Even a century after the birth of modernist architecture and design, these features continue to define the modern houses. Through their stylish building designs, architects like Frank Gehry and Louis Kahn continued to show the power and appeal of modern architecture. Today, modern houses dominate the skylines of the cities like Vancouver, Toronto, Calgary and Montreal. 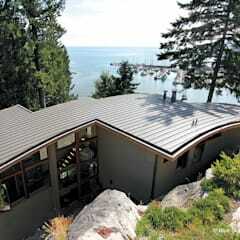 It is one of the most popular styles for the residential structures. 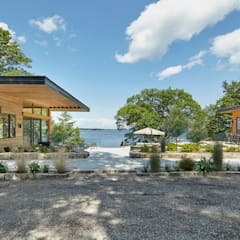 Modern homes are comfortable and cost effective. 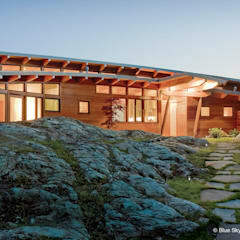 The raw materials needed for building such a home is easy to source from the local markets. 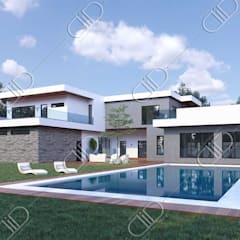 There is no dearth of architects and interior stylists who have sufficient experience in modern architecture and design. 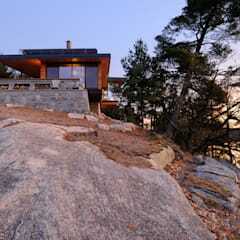 Besides, modern homes seem to remain completely in tune with a city’s topography in Canada. 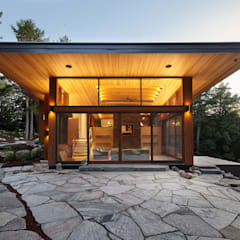 Surely, the homeowners in Canada have plenty of reasons to be completely enamoured by the charm of modern design. The cost of modern houses depend on a lot of factors. 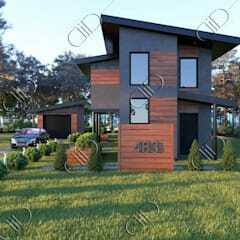 But you should be able to build a comfortable modern house by spending between $200 CAD and $450 CAD per square foot. 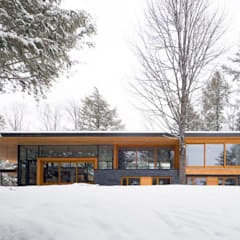 What is the difference between a modern and contemporary house? 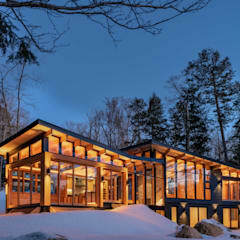 Both modern and contemporary architecture favour simple design. They strive to create an uncluttered space for the inhabitants of a house. Both modern houses and their contemporary versions prefer to experiment with various materials like wood, concrete, stone and glass. Playfulness of texture is also something that is easily noticeable in the interior and exterior of these homes. However, the basic plan of the modern houses is still dictated by the architectural styles of the period between 1920s and 1950s. So you will frequently see an emphasis on the horizontal lines, experimentation with the size and shape of the windows, use of a subdued and even monochromatic colour scheme. 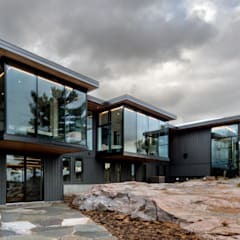 Contemporary architecture, on the other hand, thrives on daring façade designs and more flowing and even wave-like lines. 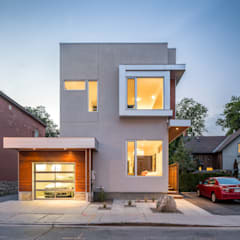 Contemporary single family homes and multifamily dwellings boast of unfussy colour schemes. But use of bold colours like red, black, yellow and orange in the exterior and interior of a house is not discouraged at all. 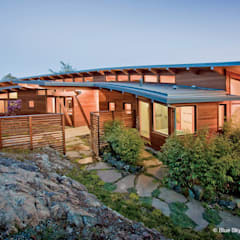 The architects of the contemporary homes prefer using more organic and sustainable materials like wood, bamboo and cork. However, you must remember contemporary design descended from modern architecture and design. And, many of the mid-century modern furniture and lighting fixtures still occupy the focal points in many contemporary homes. 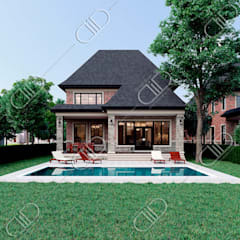 While planning to build a small modern home, insist on having a simple design. Make an optimal use of the available space. When in doubt, discuss your requirements with an architect. If possible, design an open plan living room. Decreasing the number of barriers in the form of walls will help you design a breezy interior. Choose a colour scheme that feels stylish and welcoming. Install large windows and allow sunshine to flow in the interiors. Keep the interiors properly illuminated after sunset. 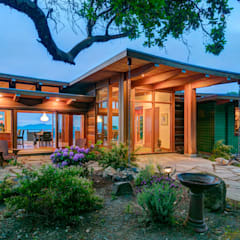 A brightly lit up home looks more spacious and cheerful. Have adequate storage spaces in the form of floating shelves and furniture with built-in storage systems. Use green plants and fresh flowers to decorate the interiors. Turn your balcony or terrace into an outdoor living space. Try to maintain an organised and uncluttered home. What are the some of the modern façade materials? The design of the façade plays a key role in defining the beauty of a house. You may use reinforced glass, wood, bamboo, metal, brick, vinyl, ceramic or terracotta tiles to decorate the exterior of your building. 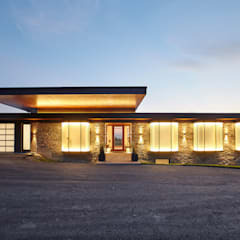 Reinforced glass façades are one of the most preferred choices for the modern dwellings. Unlike common glass it is durable, water resistant and aesthetically pleasing. It is great for proper insulation of the building. However, due to its reflective nature, glass façades tend to increase the temperature of the surrounding environment. Reflective glass surfaces also confuse birds. They dash towards the buildings and get hurt and killed in the process. So you must install sonic bird repellents to drive them away from the façade. Wood and bamboo are durable and sustainable materials. 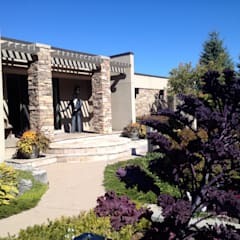 They effortlessly increase the beauty of your modern façade. You may use any one of them to clad the outer walls. Steel and aluminium and two other commonly used façade materials. 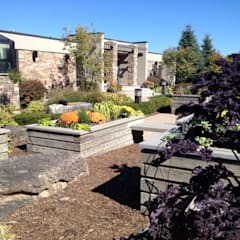 When integrated smartly into the design, they may add pizzazz to any structure. Aluminium clad walls can protect the coastal homes from damages caused by saline air and high humidity. However, aluminium clad walls may easily get damaged by hailstorms. Steel cladding must have a protective coat of paint to prevent it from rusting. Vinyl is a cost effective and durable façade material. It is available in an extensive range of colours. Vinyl also improves the energy efficiency of a building. However, vinyl can get damaged in extremely hot or cold weather conditions. Like wood, brick and concrete, vinyl cannot be painted into a different colour. So even if you get bored with its shade, you will have to stick with it or renovate the entire façade. Brick and concrete are two of the most time tested materials for the exterior walls and they have not lost their appeal with time. They are durable and can be fashioned into different styles and colours. Exposed brick and concrete surfaces also help you design a chic modern home. Ceramic and terracotta tiles are generally used to highlight a part of the façade. Ceramic tiles are available in a variety of colours and designs. Their water repellent nature also make ceramic tiles a smart choice for the outer walls.